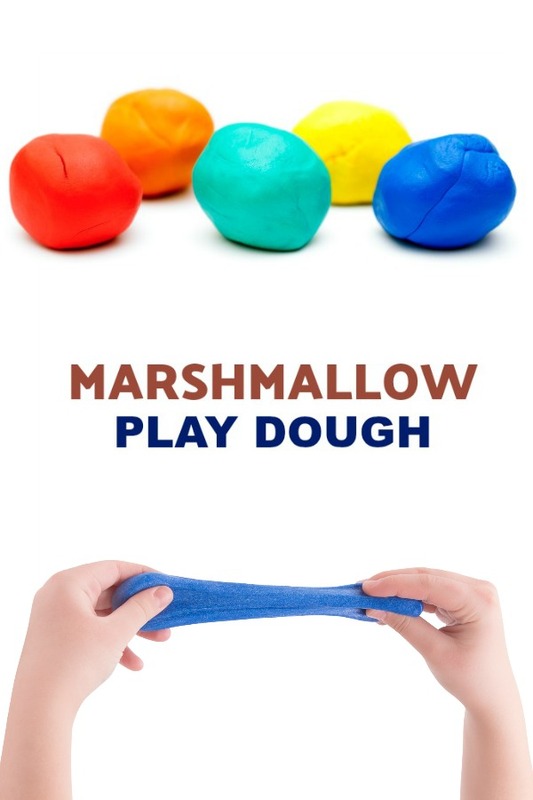 If you are in need of a quick and fun activity for kids this marshmallow play dough is just the right thing! You most likely have most (if not all) of the ingredients right in your pantry, too! 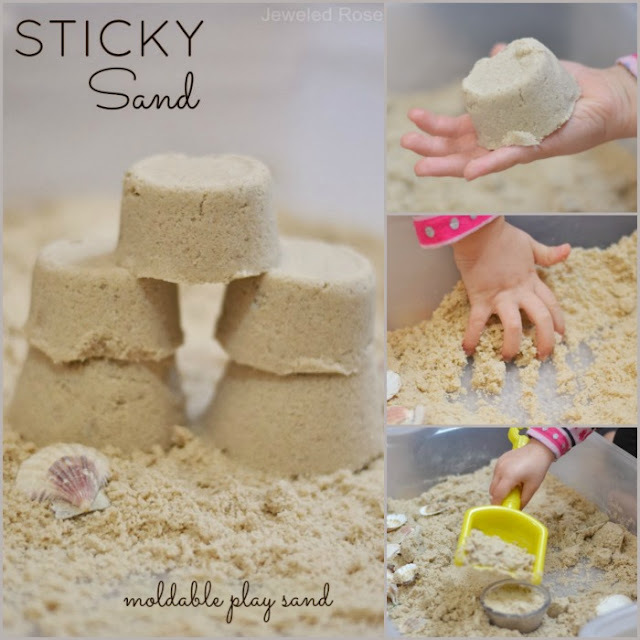 I love that Rosie and Jewel can make this play dough themselves, and then they can play with it! 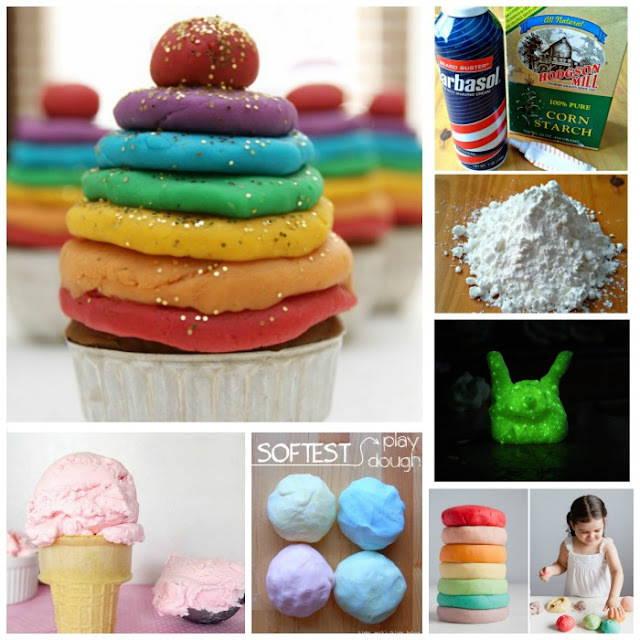 Marshmallow play dough is taste-safe, making it a great option for small children. It also takes only minutes to prepare. 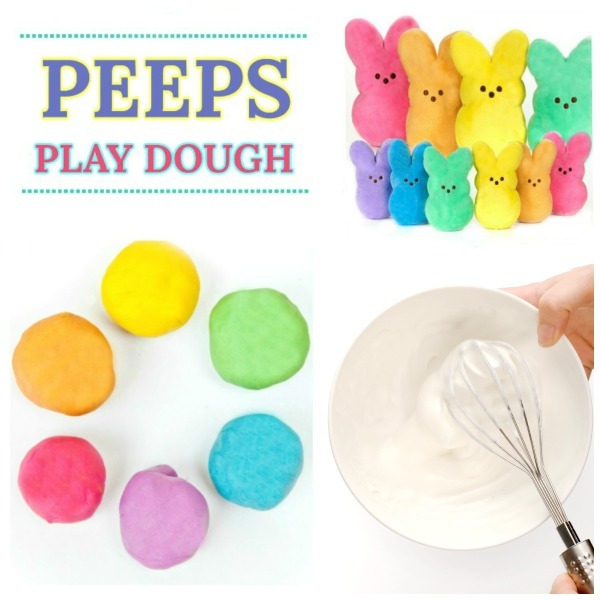 Are you ready to make your own play-dough from marshmallows? Note: You will also need a microwave. 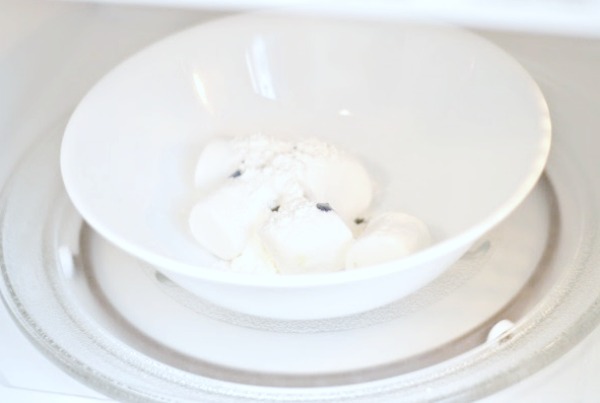 Combine all of the ingredients in a microwave-safe bowl and then heat until the marshmallows expand (roughly 30 seconds). Carefully remove the bowl from the microwave, and then mix the ingredients as much as you can with a spoon. Things will be pretty sticky at first, but don't worry. Just keep mixing. 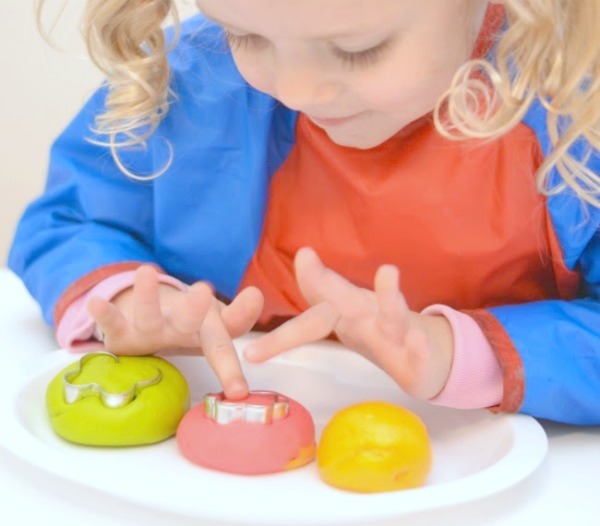 Then, once the ingredients are cool enough you will want to mix & knead the play dough with your hands. Add more cornstarch as you mix if needed. This helps the dough to lose it's stickiness and become soft and pliable. 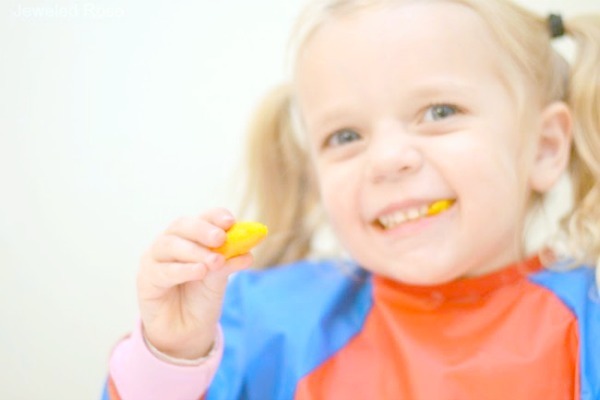 Keep adding cornstarch until the desired consistency is reached, but be sure to add it slowly. If you add too much the dough will become a crumbly mess. Keep kneading until the dough is formed. Then, wash your hands, and knead the dough once more with clean, dry hands. 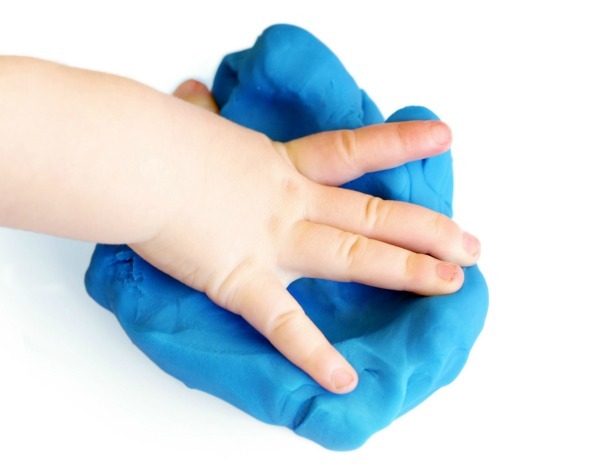 After a bit of handling you will be left with the most delightfully squishy & stretchy play dough! 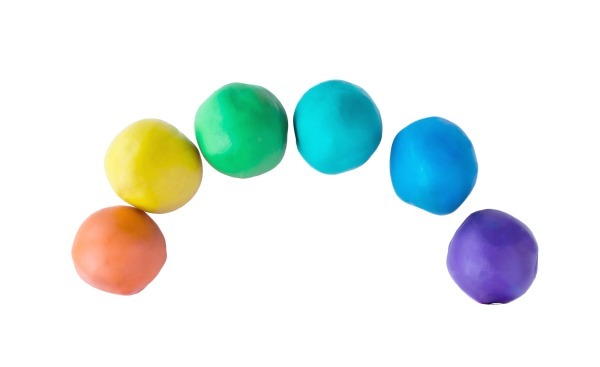 Repeat the above steps for each color of marshmallow play dough that you wish to make. Then, the fun can begin! 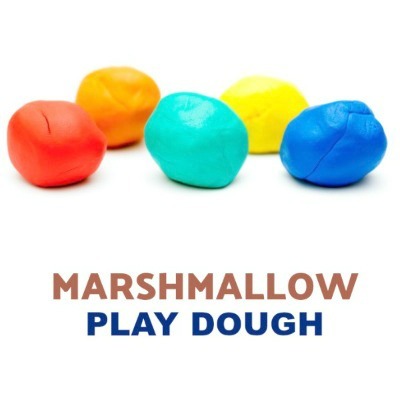 Marshmallow Play dough smells amazing, and the texture is irresistible to touch! It is delightfully silky and quite a sensation between tiny fingertips. 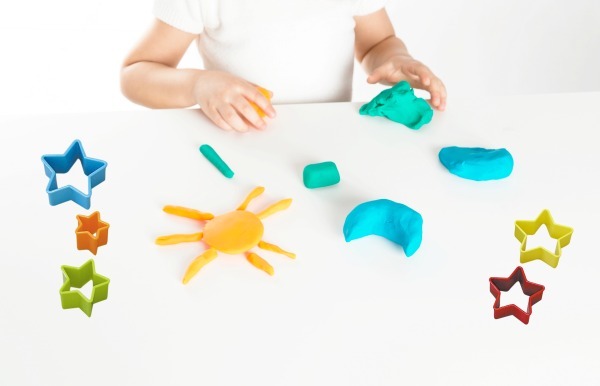 Add play dough tools, cookie cutters, and other gadgets, and kids are sure to find all sorts of ways to play! 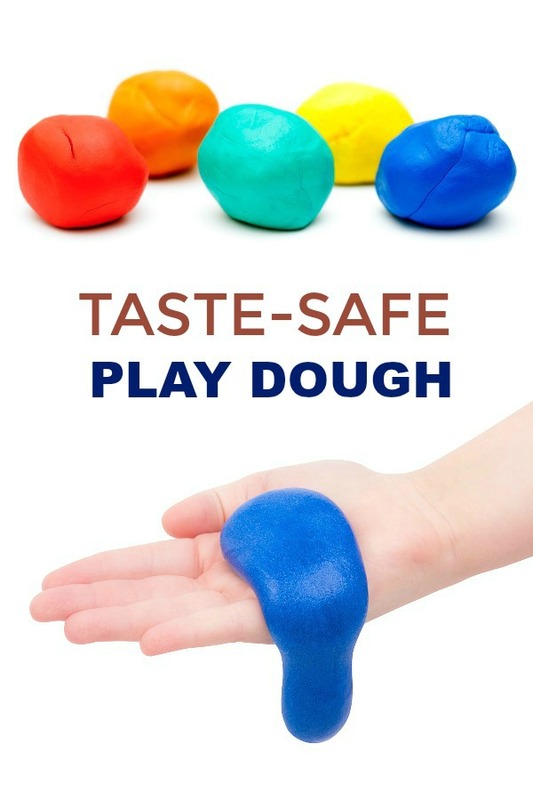 I love that this play dough is taste-safe. Rosie and Jewel enjoyed sampling the homemade dough, but don't worry- your kids won't eat too much. The play dough doesn't taste all that great to be honest. I mean, my girls definitely loved playing with it more, and that says it all if you ask me. 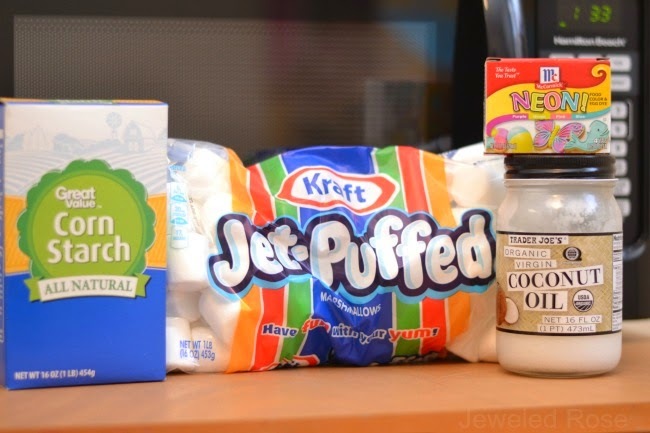 If you have marshmallows in your pantry and need to keep the kids entertained this is your "chicken-dinner-winner" right here! Note: Since this is our first time making this play recipe I am not sure how long it will last, but I wouldn't imagine keeping it longer than a day or two. The kids will enjoy every minute of it, too! 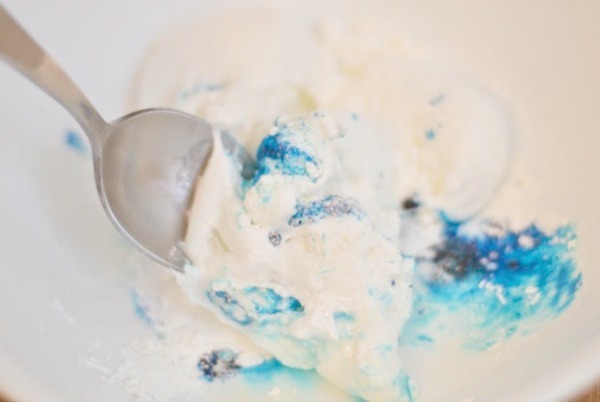 In order to get super vibrant colors you will need a lot of food coloring. We used the whole box to get colors this rich. Have fun & happy playing!